1. Liz Lemon is a Total Geek. You know her now as creator and star of the funniest show on Thursday nights, "30 Rock," but Tina Fey spent her time in Charlottesville avoiding keg parties and being a nerdy drama major. It all paid off two years after graduation from UVa with her acceptance into the renowned Chicago comedy troupe, Second City; she later became the first female head writer in "Saturday Night Live" history. Other famous alumnae: Melissa Stark, Katie Couric and super-hottie Georgia O'Keefe. 2. Stairway to Mezzanine. The Cavaliers ate up every last morsel of that home cookin' this year as they went 16-1 in the inaugural season of John Paul Jones Arena. 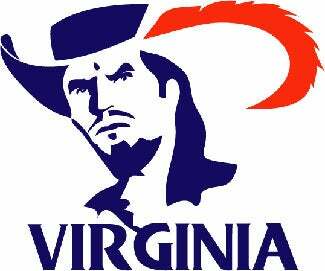 You may remember John Paul Jones as the 1948 graduate of UVa Law School whose son dropped $35 million towards building the new arena. There's no relation to either the Revolutionary War hero nor the bassist for the entirely overrated 70s band Led Zeppelin. That one home loss? To Stanford. Stupid drunk tree.